Staging mesothelioma refers to the process of determining the extent and severity of the malignancy. While stage 1 represents the mildest cases of mesothelioma, stage 4 is associated with the most severe and deadly forms of the condition. Mesothelioma staging always occurs as part of the diagnostic process, and it is central to identifying the best course of treatment for a given patient. During your FREE consultation, we will review your potential mesothelioma claim, answer your questions and advise you of your options for financial recovery. Free virtual and mobile consultations are available if you are unable to visit our offices. Tumor exists in a single location and has not spread to the lymph nodes or other parts of the body. Tumor has spread to the lymph nodes and/or the cells and tissues surrounding the initial malignancy. Tumors have become extensive, spreading through the lungs, abdomen and/or chest cavity. Tumor has spread throughout the body, possibly leading to organ failure. Most mesothelioma diagnoses occur in stage 3, when the symptoms of the condition are more prominent, specific and severe (than those associated with earlier stages). Specific staging guidelines only exist for pleural mesothelioma, the most common form of the condition that impacts the lining of the lungs (and accounts for about 80 percent of all mesothelioma diagnoses). 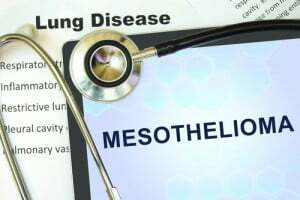 The American Joint Committee on Cancer (AJCC) has, however, compiled a Cancer Staging Manual1 that can be used to stage the other, less common forms of mesothelioma. Brigham Staging System, which is aimed at determining the feasibility of surgery (to remove the malignancy) at any given stage. Please be aware that these Staging Systems, as well as the AJCC’s Cancer Staging Manual, are guidelines, rather than strict rules of thumb. This means that different mesothelioma patients can experience different symptoms, malignancies and/or prognoses even if their condition is staged the same. Factors like age and overall health can impact exactly how mesothelioma presents in different people. To find out more about your options for financial recovery, contact an experienced mesothelioma lawyer at the Amaro Law Firm. For more than two decades, our attorneys have been helping mesothelioma patients and families from across the U.S. position their claims for success and the maximum recoveries. Diligent, tenacious and resourceful, our lawyers are ready to discuss your potential claim and help you bring it to the best possible resolution. The Amaro Law Firm’s record of exceptional representation and success with mesothelioma (and other) claims has earned us outstanding testimonials from our former clients, as well as 5-star ratings on Google and Facebook.